Eatinbrixton’s intrepid explorers went out for a night (well actually more than one) in search of Brixton’s perfect cocktail. Our recall is helped by the pictures, although our joint memory is hazy on a few establishments that came later in the evening just prior to going home and pouring ourselves into the sofa. We have already reviewed most of the places we went to for their food (see links), although in some cases it’s surprising to see how long ago this was. 1. Shrub and Shutter: (see our full review here) (http://www.theshrubandshutter.com/) only open for a few months this is clearly the Rolls Royce of cocktail bars in our locality. Although you may be tempted to try their classics, the real reason for a visit is the list of their specialities. 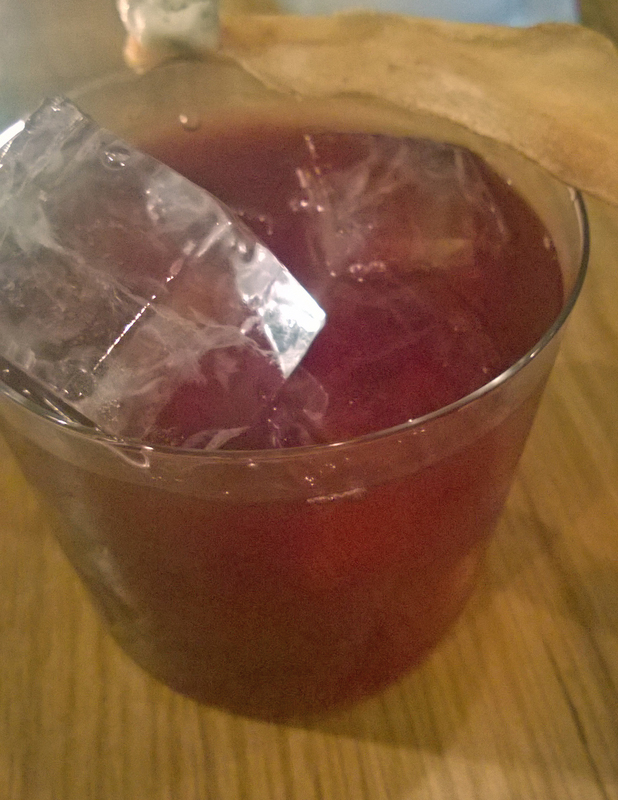 Last time we went it was a drink with a toy soldier and this time their seasonal Clementine in Your Stocking (Tequila, Blood range liqueur, pickle juice and some other stuff) and a Manhattan. At £8.00 a drink this is about the same price as most cocktails in Brixton and they were all delicious. Try their cocktail hour when they have all their drinks but some are cheaper. They also now have takeaway cocktails so you can continue the party at home. 2. 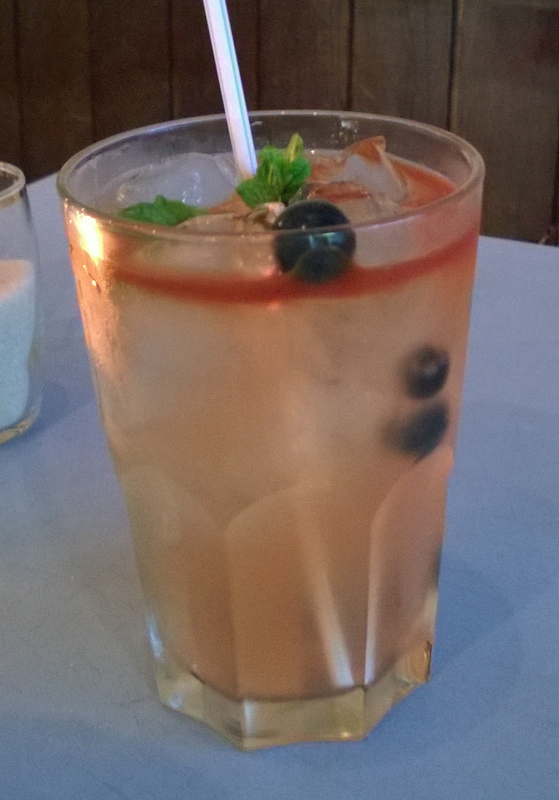 Tea and alcohol (@tea_and_alcohol #drunkontea) – I am afraid you will have missed this as it was a pop-up at Cornecopia, but this may be a good thing as we have this one mixed reviews. The Lapsang Old Fashioned (bourbon infused with Lapsang Souchong mixed with bitters and orange) was very smoky and was deemed a hit (although only if you like the taste of tar) but the Green Tea martini was a definite no. 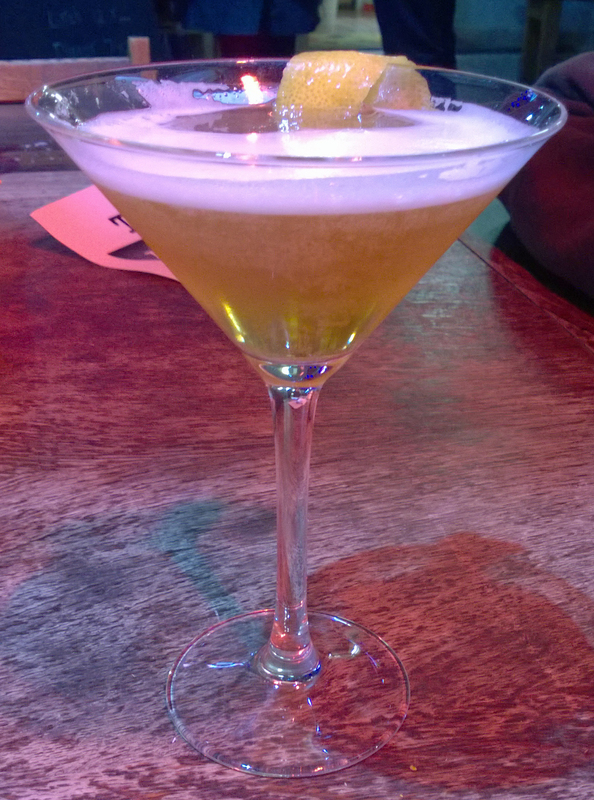 It was made of Jasmine pearls infused Russian Vodka with elderflower liqueur and cold jasmine tea and vermouth. But it was bitter and didn’t have enough elderflower to offset that bitterness. But my fault for expecting a classic – it wasn’t one of those and also not an alcopop. They also had wine and beer and hot food in the form of a rather delicious toastie. 3. Rosie’s (see our full review here) (http://www.rosiesdelicafe.com/deli/deli/deli.html) served us a Rum And Pink Ting (Rum, Pink Grapefruit Ting, Lime Juice and Mint) and an Expresso Martini (Kalhua, Expresso and Vodka) which we chose to drink inside the café (it is cold out in the arcade). We like the music but as a bar it didn’t have the ambience of the other places – mostly because it was empty. But the blessing was that it was easy to have a conversation. The Rum and Pink Ting was sweet and it was difficult to taste any alcohol and the Expresso Martini was full of caffeine as attested to by the period of insomnia that night. 4. Three eight four (http://www.threeeightfour.com/) is a new bar that opened back in the Summer. With stripped back walls, lights made out of old light bulbs covered with a shopping basket and very attentive staff this is a sort of posher cousin to the Brixton stalwart Seven in Market Row. For ingenuity this is second on our list. Food was good too (after our last bout of research we decided that intermittent food was a very good idea). We had some mozzarella Arancini which needed a bit more salt but came with hot chilli or pepper mayonnaise. We had three drinks between two of us: a Vesper (classic Ian Fleming in Casino Royale) – very strong with its mixture of spirits and Lillet – we were glad we shared. 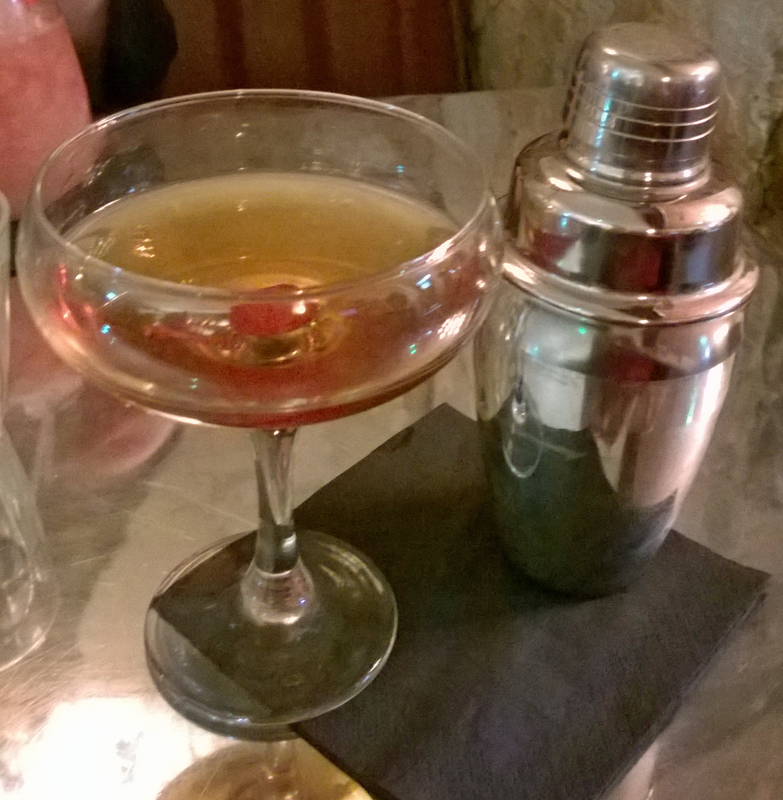 A Smoked Manhattan (Rye, Punt e mes, Maraschino) which came in a small cocktail shaker and really was smoking. 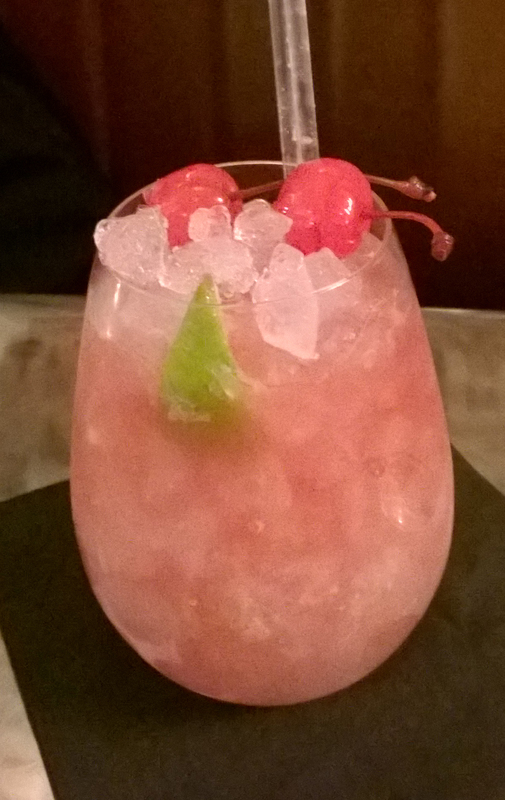 Last we ordered a Cherry Bakewell Caipiroska (Luksusowa & Davna Cherry vodkas, orgeat syrup over muddled lime & sugar), which is a sort of capirinha but with vodka. This did actually taste like a cherry bakewell and our waiter said it was possible to turn any cake into a cocktail – well there’s a challenge – what about a treacle tart or pumpkin pie? The list of special cocktails will keep you going for quite a while but they also present you with a list of classic cocktails described in a large (I mean very large) old photograph album and the cocktails are interspersed with photos. We had a thoughtful gift with our bill – hangover relief in the form of an envelope of peppercorns to add to tomato juice and vodka for the best breakfast Bloody Mary. 5. Kaff (see our full review here) (http://www.kaff-bar.co.uk/) was the most laid back of our haunts. 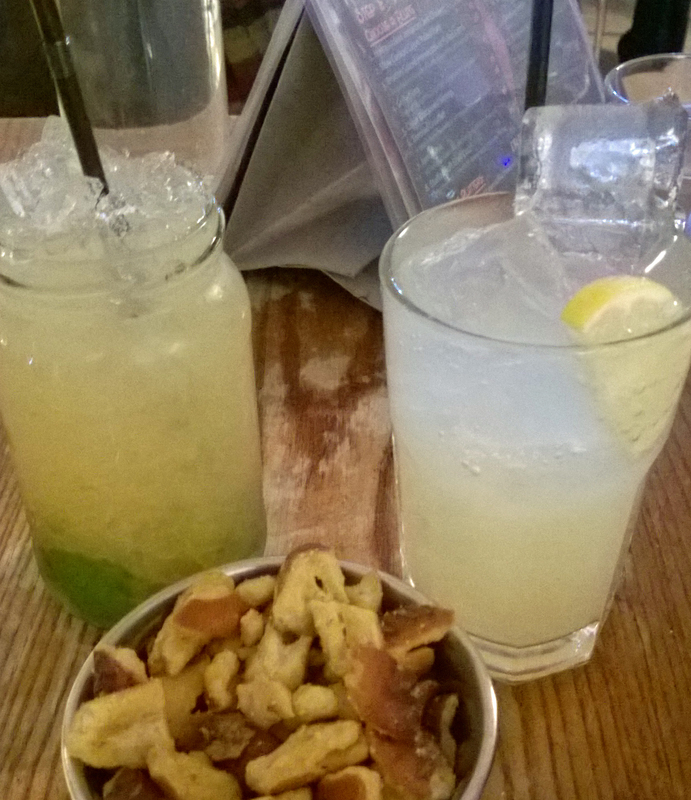 The bar sells beer and long, sweet drinks served in glasses or in a jam jar. We can’t remember what we chose but they were the cheapest in London at £4.00. We didn’t eat but they do have relatively cheap food and on a Sunday evening they were still serving. We liked the atmosphere here – much more down to earth with different accents and Spanish spoken at several tables. It made a change from the bars where many customers seemed to have got there via the tube. Don’t come here late on a Friday or Saturday however, it’s a fight to get to the bar! 6. Satay Gallery (see our full review here) (http://www.sataybar.co.uk/) was hopping on a Saturday night mostly with groups of young women and a few couples. It was our cheapest venue and we stood at the bar rather than waiting for a table. 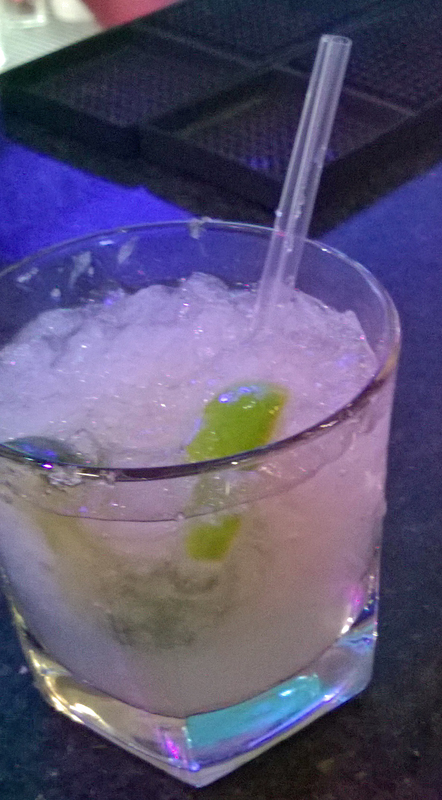 My drink was very popular and so I didn’t need to read any menu – it was sort of wobbly anyway – I could just point to “one of those”. It was a sort of liquidised strawberry blancmange with a kick called a Pink Paradise (white rum, Malibu, strawberry liqueur) and if memory serves me (I wasn’t depending on it at this stage) I enjoyed it. It also provided part of my five fruits of the day in a piece of pineapple on the side. 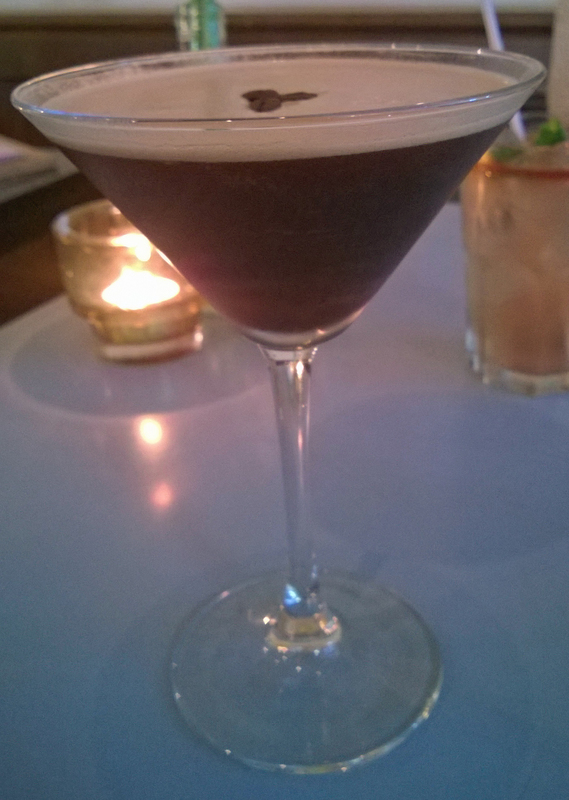 The other drink was a Caipirinha (rum, lime and sugar over crushed ice) – refreshing but a bit too sweet and not enough to stop the insomnia from the prior Expresso Martini. The list of cocktails is really long so no problems with choice here. Although the place was pretty full, the service was really fast and standing at the bar you can see their efficiency with the bar manager keeping an eye on the drinks going out and the empty glasses needing filling. We have heard that other bars in Brixton take a very long time and often forget the whole order – this place certainly wouldn’t. The atmosphere was good and, despite the bouncer on the door, we felt it was a great place to relax. There are of course many other venues in Brixton and we hope to try them all some day. We will start again in February when our taste buds have returned to normal and we have more time to spare – including the morning after.